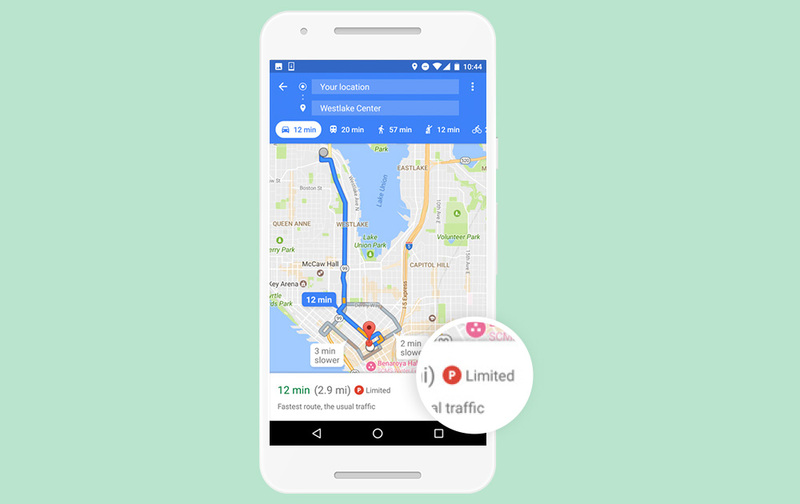 Depending on where you live, Google Maps will now show you a parking difficulty icon as you use the app to travel to your favorite spots. Google has been slowly rolling out the feature in recent weeks, but today it becomes official in 25 metro areas. The thought here is that traveling to locations in cities is often multi-layered when you start factoring in the total time. Not only do you have to worry about traffic and the route you take, you may also have to worry about finding a parking spot once you get there. How many times have you thought you had made it on time to your meeting or dinner, only to circle block after block looking for an open parking spot? This new feature could help alleviate that pain. As you open Google Maps going forward and search for a location, you’ll now see a “P” icon next to the distance and time estimated for your trip. That “P” icon will say whether or not parking is limited, medium, or easy. Google has based the range on “historical parking data,” in a similar way to how they figure out Popular Times and Visit Duration. The new feature is live now.